More good news for PlayStation 3 players. 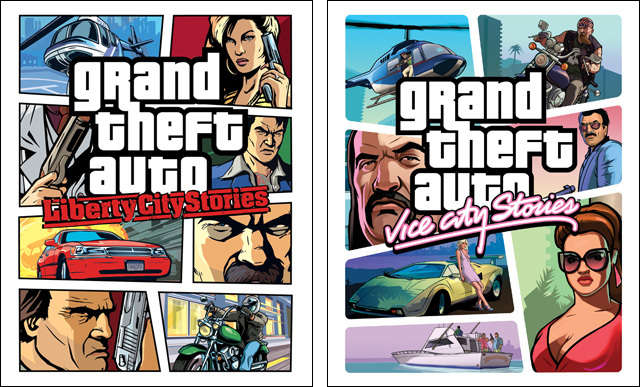 Liberty City Stories and Vice City Stories will be making their way to PSN's PS2 Classics section next week. "The streets of Liberty City are in turmoil. Warring mafiosi vie for control as the town begins to self-destruct under waves of political corruption, organized crime, drug trafficking and union strikes. No one can be trusted as Toni tries to clean up the mess of the city's chaotic underworld. Deranged hit men, morally depraved tycoons, cynical politicians and his own mother stand in his way as Toni tries to bring the city under Leone control. Forced to fight for his life in an odyssey that will shake Liberty City to its foundations, Toni must use any means necessary to secure his place in the leadership of the Leone family in a town up for grabs." Both titles will be available for $9.99 / €9.99 / £7.99 each. You can also get your hands on the first two Midnight Club titles on PSN as well. Join us at the Grand Theft Auto 5 forums!